Jeffrey M. Dunst has been in the financial service business since 1974, working with businesses and individuals helping them to maximize their insurance investments, reduce their tax liability and accumulate and preserve their wealth. 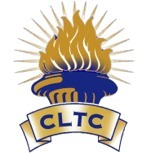 He holds the professional designations of Chartered Life Underwriter (CLU®), Chartered Financial Consultant (ChFC®) and Certified in Long-Term Care (CLTC). 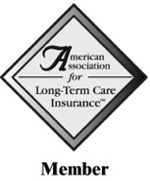 He is a member of the National Association of Insurance and Financial Advisors (NAIFA) and the American Association for Long Term Care Insurance (AALTCI). 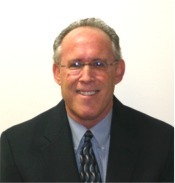 Jeff is an independent Long-Term Care Specialist since 1989. In 2001, his mother passed away after needing 24/7 care in her home for four years, ,his father was in a lock down alzheimer unit for 3 years his mother in law needed four years of care in a Assisted Living Facility, his aunt needed care in a Nursing home for two and half years, and his other aunt needed 24/7 care in her home for one year. Due to this, he knows first hand, what the Financial, Physical and Emotional effect it has on a family of a "Prolonged Illness". Jeff resides in West Orange, NJ with his wife Judy. He has one daughter Jill married to Jason who lives in West Orange and teaches in the West Orange schools, and his other daughter Lindsay lives in Hoboken and works in the Fashion Industry in NYC. Jeff is also in the West Orange Rotary and serves on the Board.